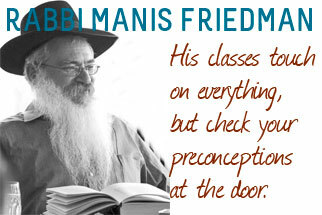 Rabbi Manis Friedman is an internationally acclaimed lecturer, educator, author and counselor. Friedman likes to challenge our assumptions about pretty much everything so be prepared for some potent insights into areas of your life you thought you understood. His classes touch on everything from the Jewish soul and psyche to the significance of the Jewish star, the meaning of fate and free will, different kinds of love, and the deeper significance of Shabbat. 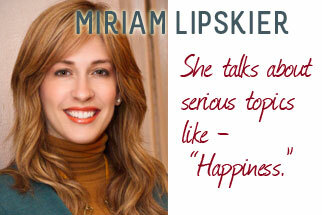 Miriam Lipskier, educator and Co-Director of Chabad at Emory, is a spirited and very funny teacher but her humor never obscures the profound life-lessons she’s teaching – in fact, it’ll enhance them. She’ll be speaking about the serious problem of happiness, the Chassidic perspective on prayer, and the truth and nothing but the truth about Jewish dating and marriage. Rivkah Slonim, educator, acclaimed lecturer and Co-Director of Chabad at Binghamton University, is the author of two books, “Total Immersion” and “Bread and Fire: Jewish Women Find G-d in the Everyday.” Slonim is scholarly but don’t be intimidated; she’s also down-to-earth, authentic and very honest. She’ll be speaking about the mitzvot unique to women, medical ethics and Jewish law, and the Jewish take on intimacy. Her no-holds-barred Q&A session is one of the highlights of the week and will probably (hopefully) raise some eyebrows. Shifra Sharfstein is the Co-Director of Chabad at Georgia Tech and Georgia State Universities, and an experienced and passionate educator. She's taught students of all ages and backgrounds, and from around the world, from Vienna to New York. 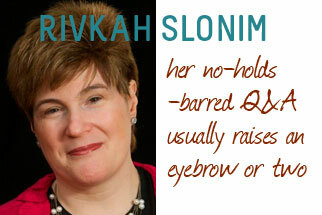 She's a talented public speaker whose featured lectures on chabad.org get rave reviews. 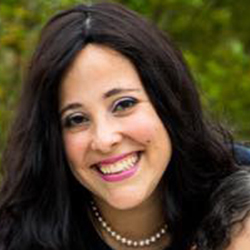 Manya Lazaroff is the co-director of Chabad at Texas A&M University. She’s down-to-earth, passionate and one of the warmest women you’ll ever meet. Expect her classes to be thought-provoking and engaging, and make sure to corner Lazaroff for some private conversation – she’s very fun to talk to. To sample some of Lazaroff’s classes, visit Chabad.org and TorahCafe.com. 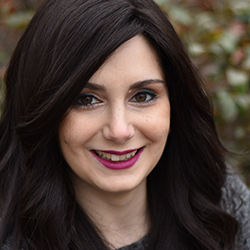 Gila Litvin is Snorkel & Study’s recruiter. Besides being extremely warm and quite organized, she’s helped run international women’s conventions and teaches the Hebrew alphabet to little ones (a holy task) in her current home-town of Atlanta. Litvin was born in London and grew up in Israel. She’s a connector and loves helping people. Sara Leah Krinsky is from Perth, Australia, and went to West Australian Institute of Technology where she insists she studied nothing of any value for her job at Bais Chana. She’s our design person for digital, print, and everything else that needs prettying up; takes care of all our websites; and does a whole lot of other things that need getting done. Hinda Leah Sharfstein is the Executive Director of Bais Chana Women International. She’s a Bais Chana alumna, a UPenn dropout enrolled in the school of life, and an information junkie who reads and dreams extensively. It’s a wonder she gets any work done at all.